3 pence per litre rise in fuel duty scheduled for this January. The decision not to increase the tax was confirmed by Osborne in his Autumn Statement when he also pledged to postpone any further increase in April. FTA and its partners in the FairFuelUK campaign had been working with the Treasury and MPs, seeking to persuade them not to go ahead with January’s planned rise in fuel duty. 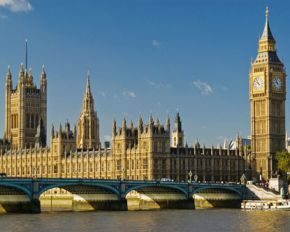 FTA sent a FairFuelUK briefing document to all MPs to warn them of the damage increasing fuel duty could mean for the logistics sector and the wider economy. It also asked members to download a template letter to send to local MPs in a bid to ratchet up the pressure. Although happy with the decision to waive any rise in fuel duty due in either January of April, FTA adds that it is disappointed George Osborne did not go further and abandon all planned rises before the next election and move to reduce fuel duty by 3p a litre. The FairFuelUK campaign therefore looks set to continue lobbying for a reduction which its research suggests could grow the economy by 0.2% at a net cost of the Treasury of £3bn. James Hookham, FTA’s managing director – policy & communications, added: “This early Christmas present from the chancellor is a good start, but we will not let this issue go. Spiralling fuel costs have a devastating impact on haulage businesses, their customers and ultimately everyone through the price of goods on the shelves, and the campaign for a fairer deal will continue.